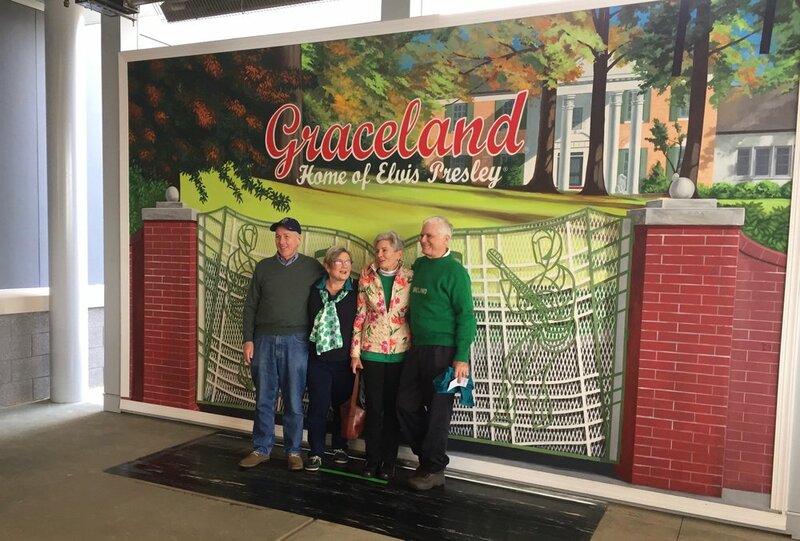 Visitors have their pictures taken at Graceland, Elvis Presley’s home in Memphis. A tour guide at Graceland’s front door awaits the next busload of visitors. Elvis’ handgun, along with his honorary membership in Colorado’s Organized Crime Strike Force. Souvenirs for sale at Graceland include all manner of images of Elvis, including these pillows. An oversized seat for an oversized Elvis: the King’s throne in the jungle room at Graceland. The high school stereotypes of the ‘50s only roamed the planet for a few short years, but they have lived on for decades, through shows like “Happy Days” and movies like “American Grafitti” and “Grease.” There are millennials nostalgic for the ‘50s because they have fond memories of performing “Grease” with their high school theater group back in the ‘90s. Even today there are places where middle school kids attend “sock hops,” the boys with greased hair and the girls in poodle skirts.